Most deer hunting articles have titles like "Advanced Techniques" and "Beyond The Basics". These articles are targeting folks who have hunted for many years and probably read hundreds of articles and tips. But what about someone who is hunting for the first time this season? Well, I'm here for you. I hope these seven tips help you tag your first deer this season. Nobody ever shoots a deer in the diner, watching the football game, or in bed. If you are serious about harvesting a deer, you need to maximize your time in the field. Pack enough food and water for the day. If the camp card game looks to be going late, excuse yourself to the bunks. Decide what your priority is before you get to camp. If you are there to socialize, go ahead and stay up late. But if bagging a deer is what is important, rest is vital. If it's warm, wear layers. You are likely to be cold in the morning and evening and hot during the day. If you are bow hunting, be sure the layers are all camouflaged. If gun hunting, be sure you have enough orange. Vests work great because they can be worn over parkas or t-shirts. For cold weather situations, coveralls and heavy coats are the norm. Keep your head and neck warm with a neck warmer and cap. Boots are the most important piece of clothing for cold weather hunting. There are several things you can buy on the cheap and get away with. Hunting boots are not one of them. Buy quality waterproof boots. For cold weather hunting, they should have at least 800 grams of Thinsulate. Cold feet ruin weddings and hunts. Keep your feet warm and you can keep hunting. When I shot my first deer, my friend came over to help me gut it out. I dutifully handed him my knife, which I had sharpened the week before. He did a great job and then looked at me and said, "you got a rope?" Hanging this deer in a tree while we continued to hunt didn't seem like something I would be doing as I prepped for that deer season. Bringing a rope never occurred to me. Another simple piece of equipment to bring along is a tarp. You can buy a small 5' by 8' tarp at your local hardware store for about $5. The tarp will make dragging your deer back to the truck or cabin far easier and keep the body cavity free of debris. If someone in your hunting party has one of those nice game carts, the tarp is still handy to keep the body cavity clean. Of course, you won't need a knife, rope, or tarp if you're not comfortable with your gun or bow. Shoot as much as possible in the preseason. You will improve your skills and learn the limits of your abilities and the gun's. Know what distances you are shooting from. This will help you judge distances in the field. If you plan to hunt in wide open areas, start shooting at 50 and 100 yards, then move up to 200 yards. If hunting in heavily forested areas, 50 yards may be the longest shot required. Scouting for deer is different from scouting for other game animals. I prefer to scout from a distance. Glass deer with binoculars from a roadway or tractor path. You are looking for deer movement, early morning and late evenings are the time to scout as deer are more active. If you live close to the area that you plan to hunt, before and after work is a great time to scout. If you are hunting public land, be sure to find a handful of prospective places to hunt. What may look like a remote hunting area can resemble a Wal-Mart parking lot on opening day. So have a handful of go-to properties. Technology has given us hunters an opportunity to scout without leaving the house. Google maps, Yahoo maps, and many other sites offer satellite maps free of charge. Some even offer topographic maps. These maps give hunters a birds eye view of any property in the country. New technology allows those who use game cameras to spy on deer to access their photos without walking into the woods. Opening day arrives and you have done everything to be prepared. Whether you hunt from a tree or the ground, know where you are going to sit depending on the wind. You want to hunt with the wind in your face. This will blow your scent away from where deer will most likely approach. Of course, deer don't always do what you think they will. But you need to play the odds. Once you’re settled in, practice swinging your gun or bow to evaluate shooting lanes. Doing this will take the guess work out of the actual shot and mentally prepare you for the moment a deer is in range. So, you've done everything right and a deer is approaching. Would it be great to shoot a trophy buck? Yes. But as a first time hunter, your goal is to fill the tag and learn from the experience. Any legal deer is a good deer. The first thing you need to do is determine if the animal is legal. Some states have buck only regulations, antler restrictions, or requirements to shoot an antlerless deer first. Check regulations in your area first. If you're still not sure, give your local game and fish department a call. Most are more than happy to help and may even give you some tips. Once you have decided to shoot, focus on the vitals of the animal. Don't look at antlers. Don't look at the surroundings. Wait for the vitals to clear any vegetation and pull the trigger or release the arrow. Target the area just behind and above the front shoulder. Whistle or grunt at a walking deer to stop them for a shot. If you are confident in your shot but the deer doesn't immediately fall, give the deer an hour or two to lay down. If the deer isn't pressured, it will typically go down within 150 yards of the shot. If you hit the deer in a non-lethal area, try a second shot. If the miss is clean, I recommend letting the deer run. If you missed it clean at a dead stop, your chances of hitting it running are slim. Wait for another deer. If you prepared, practiced, and were relaxed when the shot was taken, missing isn't a concern. 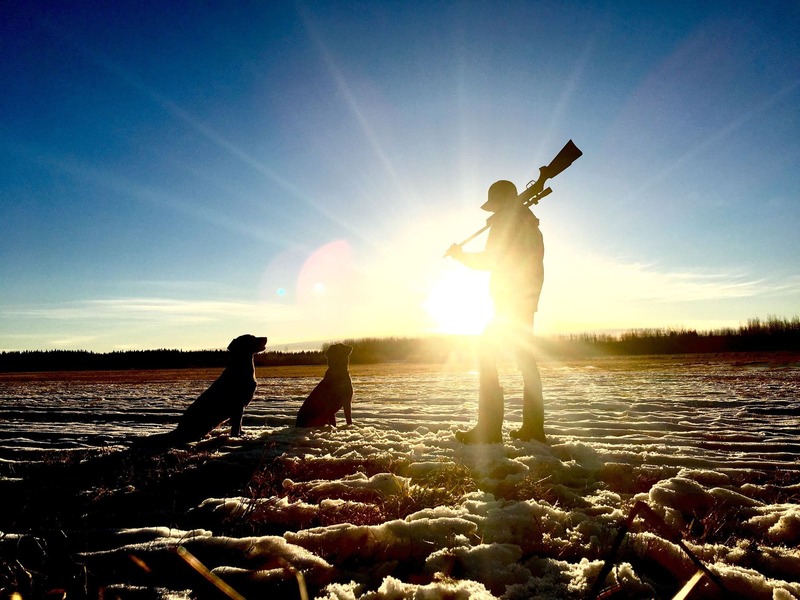 For first time hunters, having a mentor is the best opportunity for success. 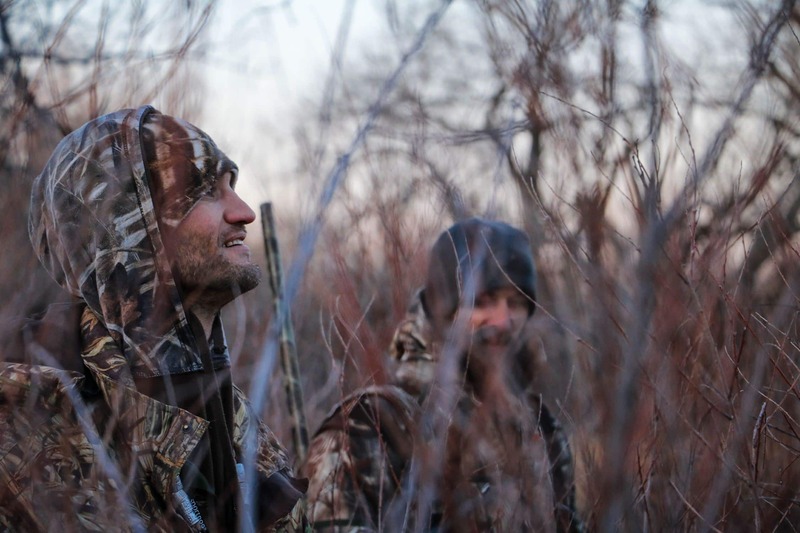 A mentor can help evaluate all the aspects of a hunt. They can correct mistakes before you make them. Most beginning hunters have a mentor. If you don’t have one, ask. I have met an incredible amount of friends through hunting. Most are people that invited me to hunt with them or I invited them to hunt with me. The vast majority are people that I didn’t know well until we hunted together. The hunting fraternity is always welcoming new members. A good friend of mine tagged his first deer last season. In fact, he was the only person in his eight hunter group to get a deer. The great thing about hunting is, the entire group was happy for him. If they could have picked one person to get a deer it would have been him. Congratulations, Jon. Here's hoping you tag another one this year.